And in just a moment I’m going to share with you something I discovered that has made an immense difference for me. When I first started connecting with the angels, it initiated a tidal wave of positive change and growth that reached into every area of my life. But it wasn’t so much that I began tuning into the angels and suddenly everything in my life was perfect. Life after all is so much about the process of growth, taking steps forward, stumbling backwards, getting back up, and sometimes learning lessons the hard way. The direct path towards reconnecting with your highest purpose, your greatest joy and your full light is really a process of healing, releasing, and unlearning beliefs you may not even know you have. Revealing the fullness of the radiantly brilliant light being you authentically are happens not all at once, but rather by peeling back layers. Where at the center you are able to fully know and experience your full value, radiant light and infinite love. I know… Because for a long time I struggled with toxic emotions, and past pain without realizing it was tied to my childhood. You see, when I was growing up, my Dad used to make fun of me for being a loner, for not having many friends, for being the “ugly step-sister” and for not fitting in. And when I finally would have friends come over he would tease that it was only because he had bribed the other kids to play with me. The feelings surrounding these past experiences were toxic for me. And yet I didn’t even realize that the feeling of being an outcast, being worthless, and being unloved had followed me into adulthood. Because for me, happiness seemed like some far off fantasy reserved for the endings of fairy tales. Because, peeling the painful past layers from my childhood made a huge difference for me. We’ve all had traumas and challenging experiences as children. 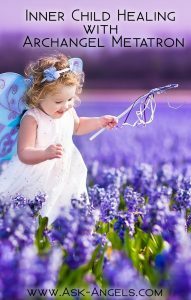 You can reveal the purity, innocence, creativity, joy, imagination, and love of your inner child. 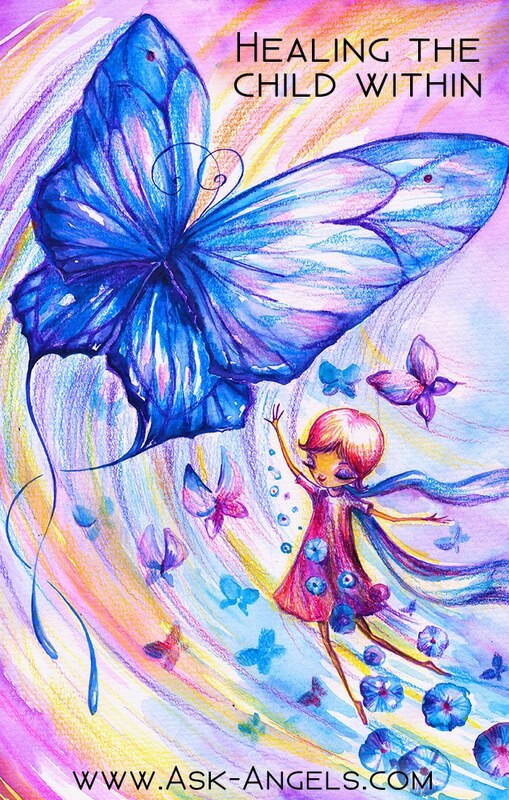 These are qualities of the inner child that can immensely help you in the present. They can help you to live with greater joy, and love, and to brilliantly shine your full light and accomplish your highest purpose. 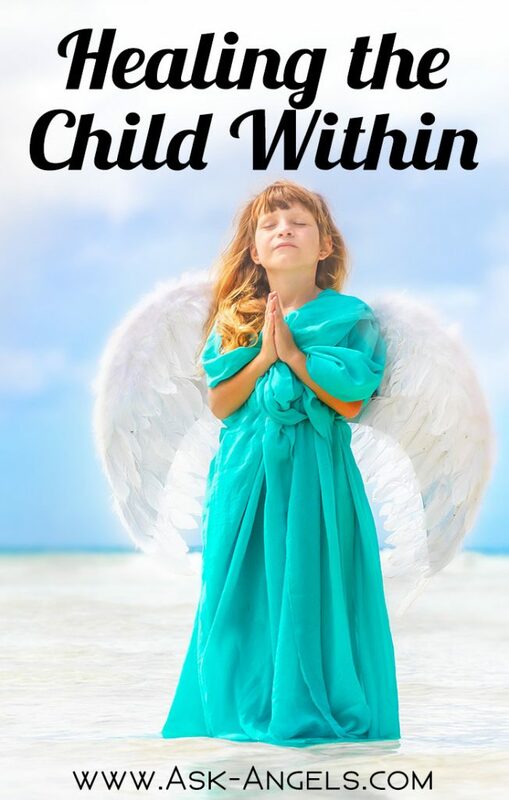 And this new channeled angel session with Archangel Metatron, called Healing the Child Within helps you to tune into supercharged love, acceptance and forgiveness to heal the child within you now. In this session, Metatron guides you into a sacred inner space of healing where you can gently and safely release. The unique aspects of yourself that are needed in the world and that bringing to the surface will align greater joy, love and fulfillment in your life. Move through the layers, and stand in the full light of your truth, connected to your angels and to the unlimited value you are able to bring to the world. This session is now available as an .MP3 set to beautiful meditative music. Click the link below to purchase, and then you will be able to instantly stream or download the session. Just listen as Metatron guides you to heal, love and nurture your inner child. Which cannot help but have a positive impact on your present self. Transforming your negative emotions, and challenging past experiences into new possibilities, new opportunity and immensely positive change. Click add to cart to access Heal the Child Within… Now! Curious what others are saying about this session? “Thank you again Melanie. This was a beautiful experience! I also am filled with gratitude for Archl Michael’s course for protection. It is and has been a pleasure to take this ride into our ascension with you!